Beautiful antique taffeta silk and lace girls dress, ca. 1850 - 1860. 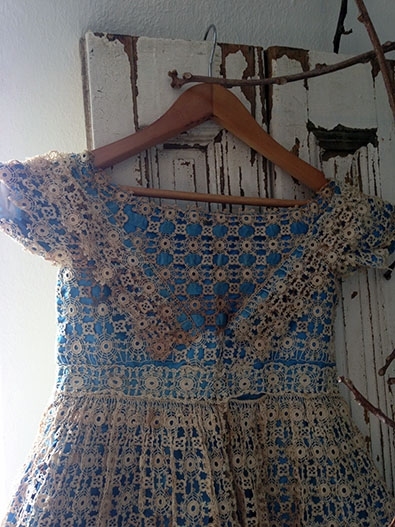 A really lovely dress, made of beautiful crisp tafeta silk in a lovely vivid azure blue colour, with an overlay of fine crochet lace. The dress has a wide neckline, dropped shoulders and an very wide skirt. 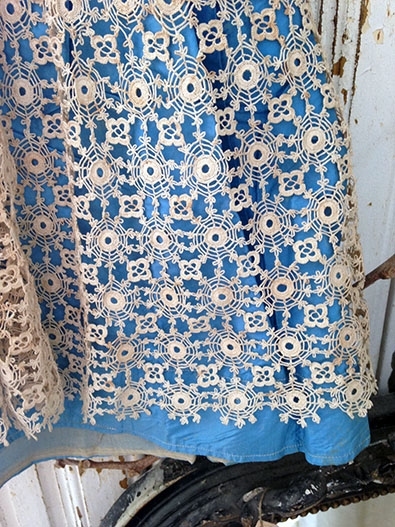 In the skirt there is a pocket, under the lace, in the silk part. 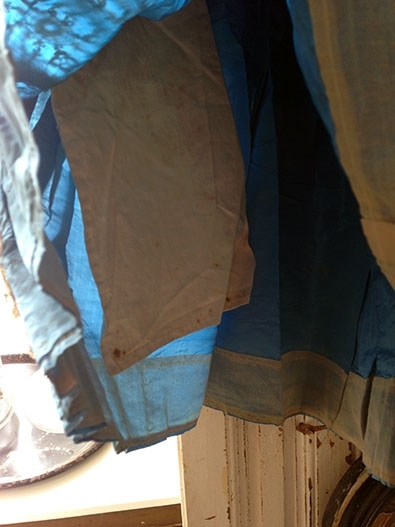 The dress is in very good condition, the silk taffeta is gorgeous and still has it's lovely bright colour, no silk rot. The lace is also in very good condition, if you look for it very closely you will find a couple loose threads perhaps, but nothing you will see right away. The lace does have discolouration, especially on the chest area. We don't mind this at all, but maybe it could be cleaned by removing the lace and washing it, it will hold up to that we would think. 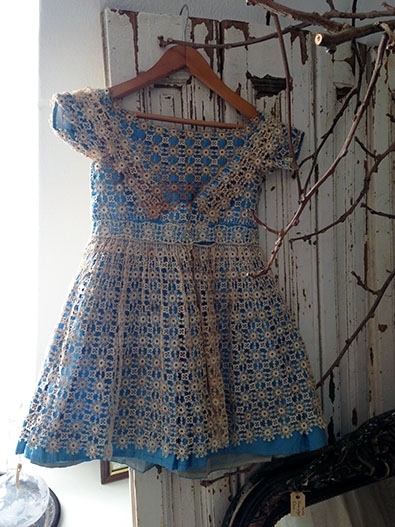 A really lovely and rare girls dress! Measures approx. 58 cms long.